Get your hands on our all-natural, additive-free Red Maeng Da – now in a convenient capsule form! Each XL-sized capsule contains about .5 grams of fine-grain kratom powder and is lab-tested to ensure quality and potency. Our kratom capsules are available in several sizes, including 20 XL, 50 XL, 75 XL, and 100 XL to fit your unique preferences. As a customer favorite, Red Maeng Da is consistently one of our highest-praised products. Grown, harvested, and ethically sourced directly from Southeast Asia, our Red Maeng Da capsules undergo strict quality assurance to guarantee that you’re getting nothing but the best. To preserve freshness and maximize longevity, we ship all of our kratom capsules in air-tight packaging that you can conveniently reseal at any time! Not all kratom is created equally! Kratom Spot takes pride in providing the online kratom community with exceptional products and attentive customer service at a fair price. All of our products are backed by our 100% satisfaction guarantee, allowing you to shop in confidence. If you’re not satisfied, you’re entitled to your money back – just let us know! Our responsive support team is ready and standing by to help you with your order. Purchase your Red Maeng Da capsules before 3:00 PM Monday-Friday, and we’ll ship them out the same day. 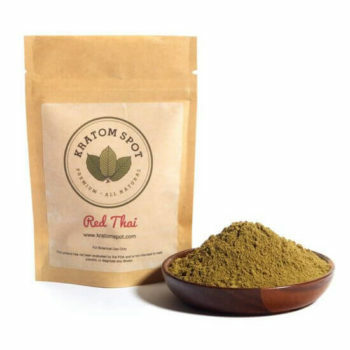 Place your order and spot the difference at Kratom Spot today!